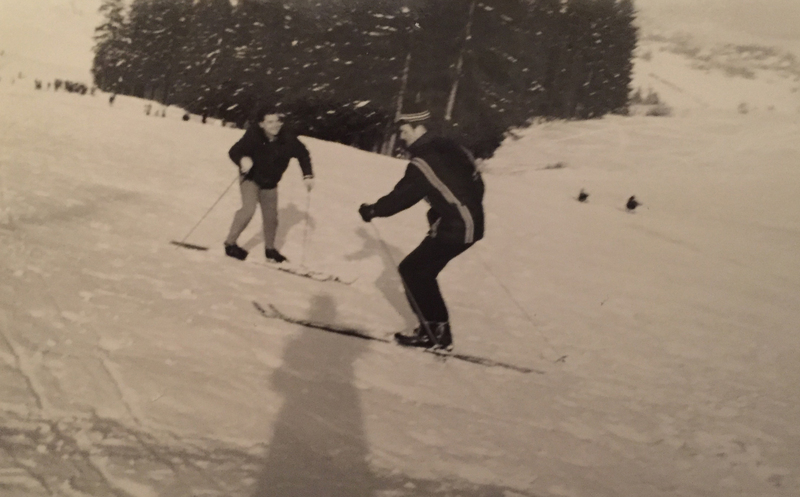 European ski holidays are apparently old news in my family because my grandparents have been skication fans since 1969. 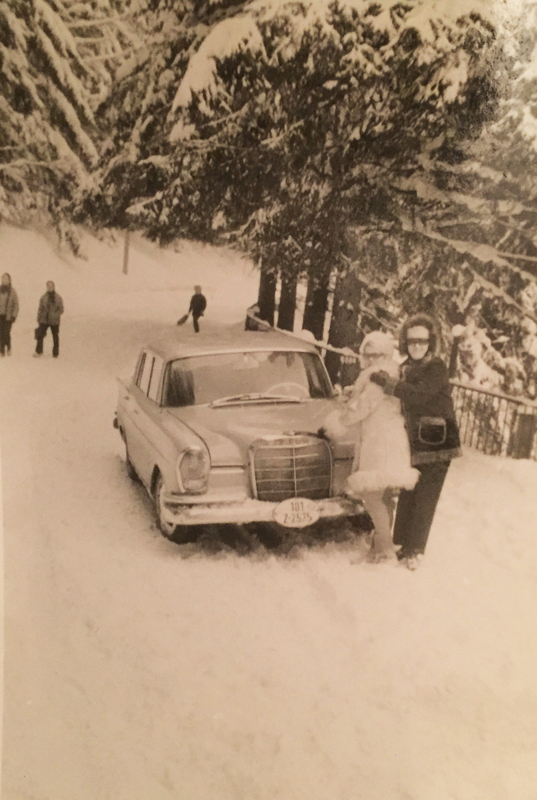 After a family dinner during the winter holidays, I decided to browse through my grandparents’ photo albums. I stumbled upon a series of nearly 50-year-old black-and-white photographs. 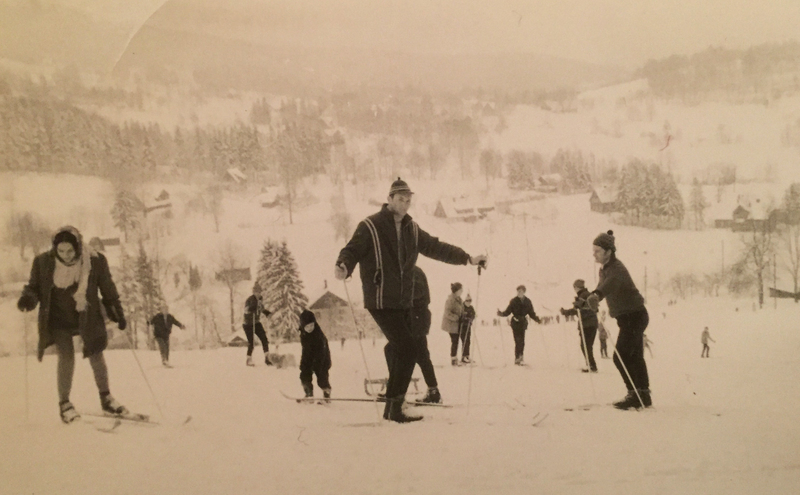 In these pictures, you can see my grandparents, their family, and their friends having a blast on the slopes of Zakopane, Poland. Overall, seeing photos of my relatives traveling 50 years ago made me have some pretty crazy thoughts. I started to wonder whether wanderlust is inherited. Is there a gene that can be handed down from parent to child that makes one constantly have the need to travel? I’m not geneticist so I can’t say for 100%, but in my family, wanderlust really seems to be a hereditary trait. You may argue and say that wanderlust is nurture over nature. Yet, while growing up, my family hardly travelled. 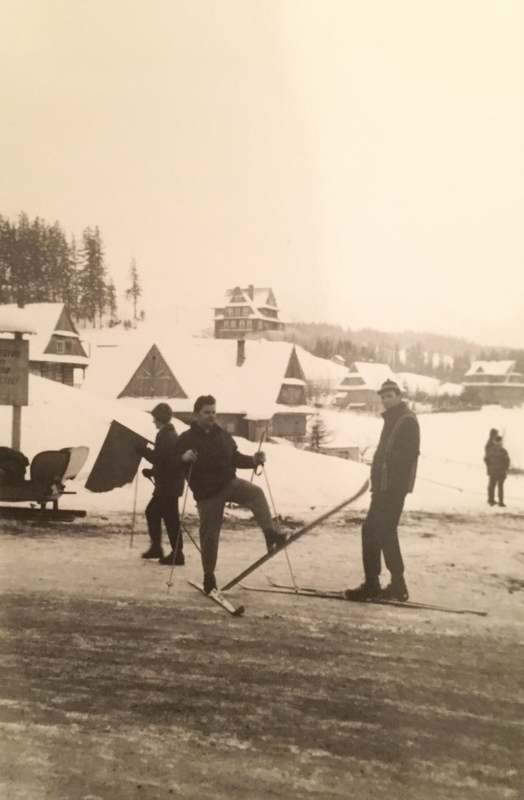 We went on short trips to nearby ski slopes and cottage country (and I am incredibly thankful for that), but out-of-country adventures were few and far between. My family did most of their traveling before I was born and started up again once I moved away. I’m not sure when my wanderlust kicked in. Was it during a trip to Spain in 2011? Or when I spent one month in Belgium completing a teaching placement? But since that moment, I’ve visited over 20 countries (19 of them in Europe). And in just a couple of weeks, I’ll be putting my skiing skills to the test by heading off on my first European skication in the Alps (so excited!). So, in honour of my upcoming European skication, I wanted to share one from my family’s past. 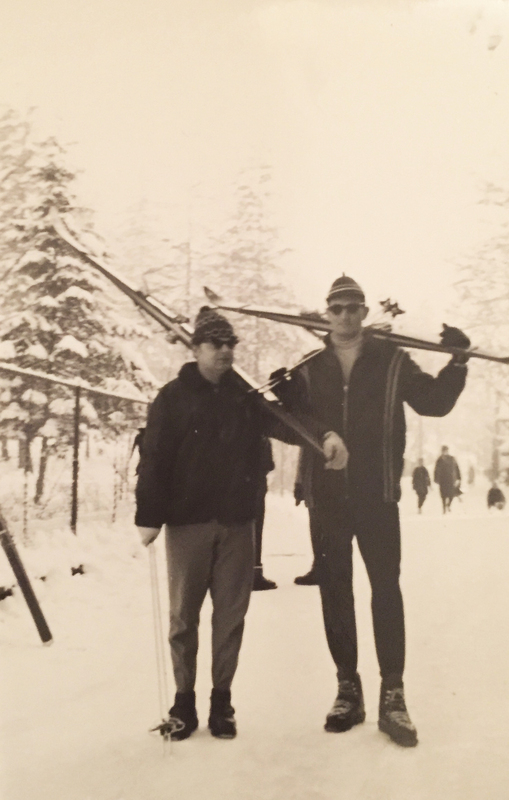 Have you ever wondered what skiing was like nearly 50 years ago? Now is your chance to find out! Simply scroll down! And I can tell you that the technology has changed…drastically. If you’re a history buff, scroll down to the very bottom where I’ll share the significance of these pics. Remember, these come from the Polish People’s Republic in 1969. 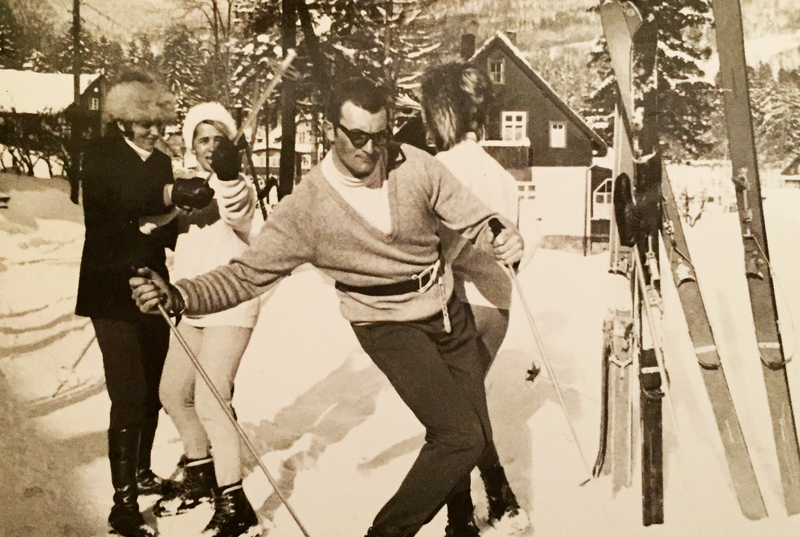 Forget those baggy, waterproof snow pants (or maybe just forget snow pants in general…and your jacket)… The slopes were a place to feel glam. Fluffy hats and big shades were all the rage. Are those kitten heels we see? Fortunately, they were traded in for some warmer, sturdier boots. 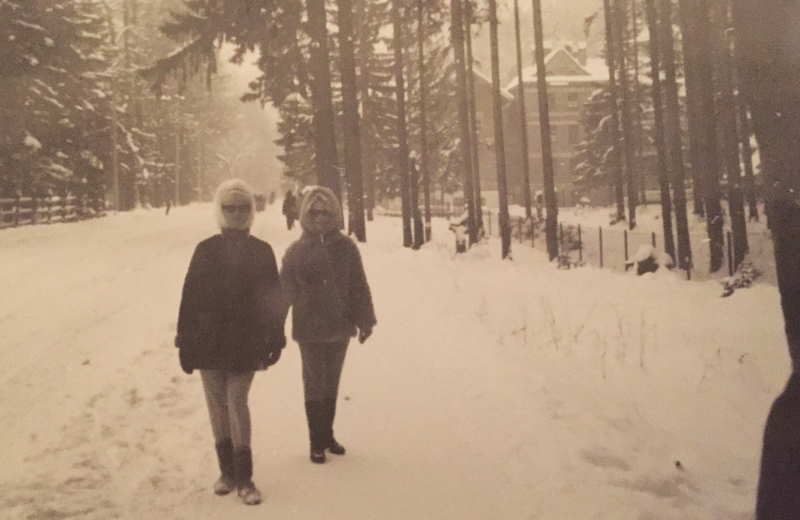 Zakopane looks like a perfect winter wonderland, and it looks like my grandparents had a perfect holiday (minus a few mishaps that I involved discarding unwanted mushroom soup). The Polish mountain town, Zakopane, is still a popular vacation destination today. Learn more about present day Zakopane in one of my earlier blog posts by clicking here. I can’t even begin to tell you how fascinating I find these photos. These photos were taken in 1969 when Poland was in a particularly difficult economic and political situation and was under Soviet control. I am interested in social history which explores how regular people throughout history lived their lives (in contrast to political history and economic history which involve studying a country’s – or region’s – past politics and economy…as the names literally suggest). Despite the fall of the “Iron Curtain” over 20 years ago, I feel like an aura of mystery occasionally surrounds what daily life was like under Soviet Rule in Poland – for foreigners that is (and I am not afraid to acknowledge that I am one of these foreigners. My heart beats for Poland, but I did not grow up in Poland). 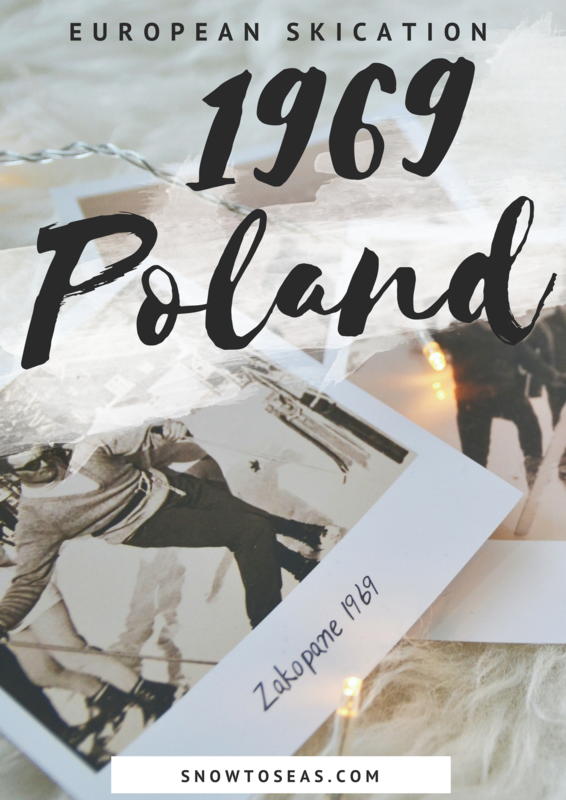 I am so captivated by these photos because they open a tiny window and give a glimpse of vacationing in 1969 Poland. They show us people full of energy and passion – determined to enjoy life and seize the opportunities available in order to do so. All in all, these pictures are the bulk of a very small collection of photos my grandparents have left from their lives and adventures in Poland. The rest were confiscated by authorities in the early 1980s. I wanted to write this post not only to offer a snapshot of what a skication looked like nearly 50 years ago, but to briefly commemorate my grandparents’ experiences and memories. They are some of the most hardworking and resilient people I have the privilege of having in my life. 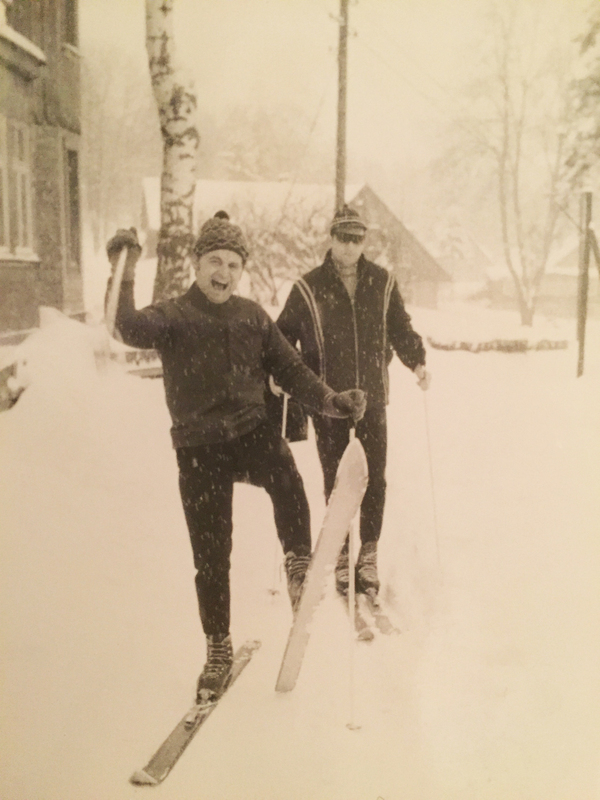 Do you have any old photos of your family’s adventures? Let’s do some time travel! Share them on twitter and tag @snowtoseas! One thing that I noticed was that so many Poles had relatives in the U.S. and other countries and that their history had always been rough. Times were extremely tough economicall/socially , as late as the 1980’s, when the rest of Europe was conquered starvation and want. Yet, remember most of what started in Eastern Europe regarding liberalization had always seem to have started in Poland (Poznan, 56; Gdansk, 70; and Solidarity (Gdansk, 80). I remember the Jaruselski crackdown in 1980 (as I was watching SNL). Poles are a stoic, tough people. Thank you for your comment! And I agree – I’ve heard stories from nearly all my relatives and even strangers I bump into in Poland about growing up in the country. Poles truly are resilient. Love seeing the vintage styles! Such a fun post! OH MY GOODNESS! These photos are awesome! Definitely love the historical significance of photos like this. Thank you! I can’t believe that I never knew these existed until this December. Wow those pictures are beautiful I had fun watching the pictures. Looking at this old photos made me want to dig on few photos that I have of my family. This is such a great post. Thank you! So many countries have such fascinating histories that are not regularly talked about. I am committed to sharing them whenever I can! Thank you so much! Bosnia and Herzegovina is another great place to go if you want to combine history with travel. It is really fascinating how quickly things have changed! 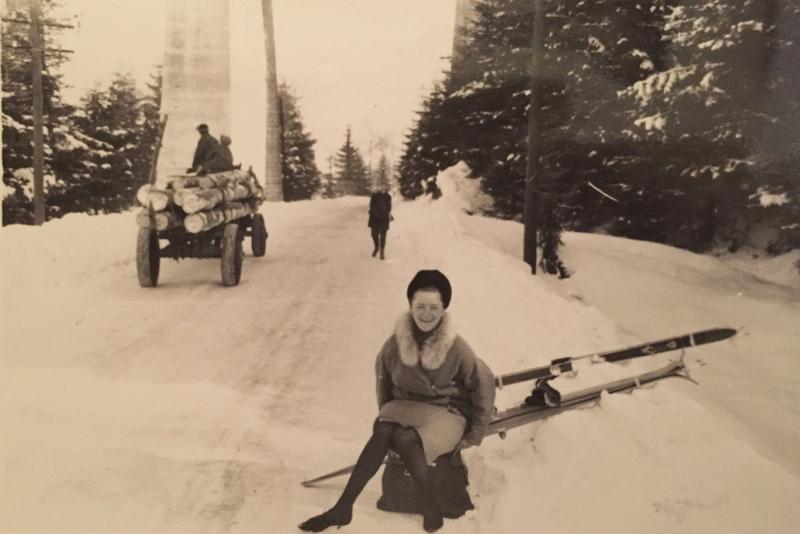 Amazing blog:)) wonderful pictures of your grandparents fashionable good times with relatives and friends on the slopes in Poland!! Enjoy your skication and looking forward to seeing more of your adventures! !